The Fender Vintage 59 Stratocaster Pickups are constructed to evoke the original era of the Fender Strat. The dynamic enhancing Alnico V magnets combined with Formvar-coated magnet wire, bring a balanced tonality with that definitive round, warm sound coupled with a sweet edge reminiscent of vintage Stratocasters. Featuring staggered pole pieces on each pickup, you can be sure that volume and output will be perfectly balanced across every single string. 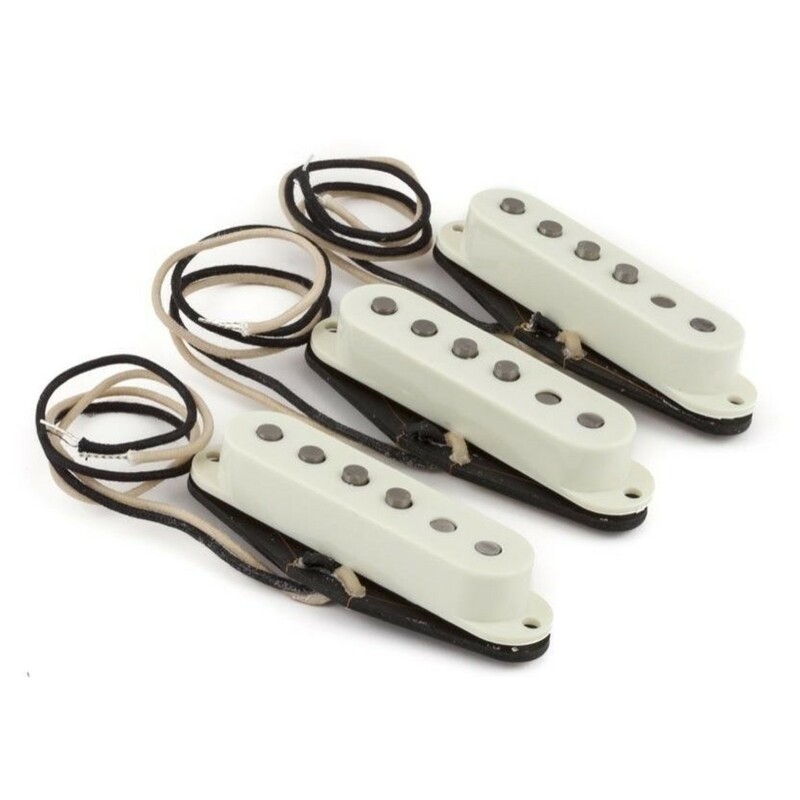 Wound to precise specifications to reproduce that authentic Fender sound of 1959, this set of Strat pickups are an ideal choice for anyone looking for versatile vintage tone.